What God’s people will be doing is not a man made edict or celebration on a date decided by a ruler or emperor. Jesus was the one who decided this and he instructed it must be done “till He comes.” Notice what Paul said what he received from the LORD, he is passing onto us to do. Jesus’ command was for us to do this in remembrance of Him. This was, and is, a significant event. Why? We have been commanded to observe His death when He gave His life as a ransom for all our sins. He didn’t tell us to celebrate His birth, but His death. Easter’s attempt to recognize what happened to Him during that time, and the reasons for it, has been lost in pagan rooted celebrations, done at the wrong time, and miss totally why ‘Christ is our Passover.” The imagery of an innocent Lamb that went to the slaughter, has been hijacked by bunnies and eggs- all symbols taken from pagan fertility festivals. What is this feast? Easter? Not at all! It is referring to one of God’s annual biblical feast days found in Lev. 23, which most Christians have turned their backs on, calling them “Jewish,” and instead embracing the non-biblical “Easter.” The Days (feast) of Unleavened Bread comes right after Passover and pictures a time when symbolically, Christians try to put sin out of our lives and become “unleavened.” Leaven in the Bible signifies sin, therefore, as Paul instructed we must put away, “the leaven of malice and wickedness,” and keep the feast “with the unleavened bread of sincerity and truth.” That represents who Jesus really is as our Passover because He committed no sin. Jesus did a humble act and demonstrated to us how we should be a people of humility, serving one another and being an example to others. What is important is the examples Jesus left for us to follow. Not what men dream up or instituted off their own accord and brand them as holy. Only God determines what is holy. 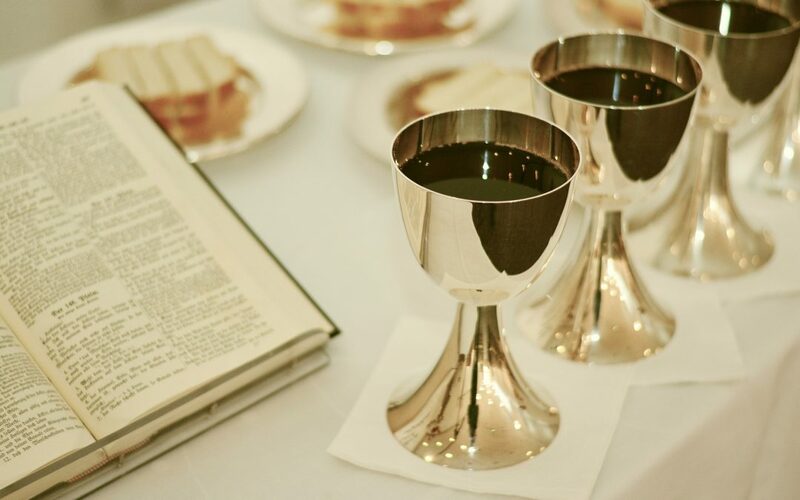 As we take the cup to drink, which represents His shed blood, and as we eat of the bread to represent His broken body, let us all look forward to that time, as He does, when we will be with our God to drink it anew in the Kingdom of God. For more on this subject, download FREE, our booklets, CHRIST OUR PASSOVER and HOW WAS PASSOVER REPLACED BY EASTER.